What’s happening in your city this April? Looking for something to do? We’ve got you covered with a roundup of events and shows taking place in Cape Town, Joburg, Durban, PE and Bloemfontein this April. Theatre productions, biking events, organic food festivals, Easter egg hunts, music concerts and more – it’s all going on this month. Here’s a roundup of what’s happening in your city. A wounded snow goose brings a young girl, Fritha, and the recluse, Philip Rhayader, together in a moving story of friendship and courage. This multi-award-nominated production is an adaption of Paul Gallico’s classic novella that will tug at your heart strings and stay with you long after the show ends. Showing at The Fugard Studio Theatre. Tickets from R140. Tell me more. 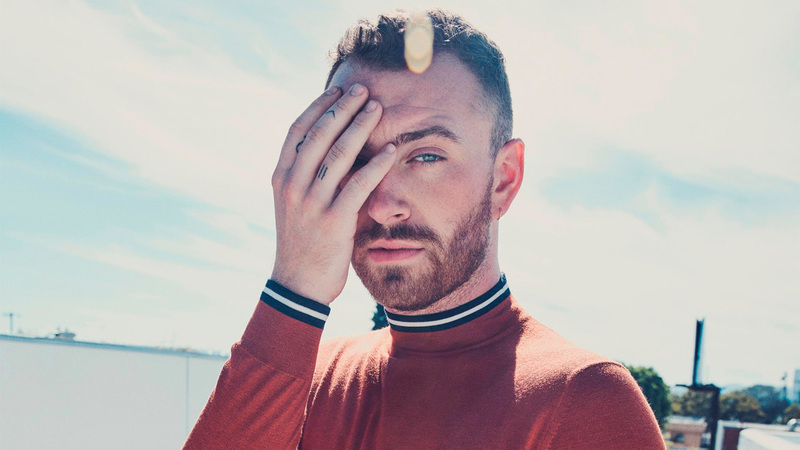 Multi-award-winning British singer/songwriter Sam Smith is performing three shows at Grand West Casino’s Grand Arena this month. Singing chart toppers like ‘Stay With Me’, ‘Writing’s on the Wall’ and ‘Too Good At Goodbyes’, the global singing sensation is sure to set the stage alight with his incredible vocal talent and dulcet tones. Tickets from R575 per person. Tell me more. Described as the ‘world’s most beautiful marathon’, the Old Mutual Two Oceans is a highlight on every marathon runner’s calendar. Whether you’re in it for the full 56km, the 21.1km half marathon, or simply to show your support from the sidelines, the spectacular scenery and awesome vibe at this iconic event won’t disappoint. Tell me more. Cheese is life, right? If you agree, the SA Cheese Festival is likely already on your radar. Dubbed the Cape Winelands Festival of the Year, the event celebrates its 18th anniversary at Sandringham Estate in Stellenbosch this year. That’s 18 years of mouthwatering cheeses, niche products and exciting culinary encounters. Tickets from R180 through Computicket. Tell me more. This annual fundraising event includes performances by some of Joburg’s hottest musicians, including Kabza Da Small, Jazzpipes, Tribe Franko, Gino Brown and more. With the goal of raising funds for school clothes and wheelchairs, you’ll be supporting an incredible cause while enjoying the best that local music has to offer. The event kicks off at 12pm at the Alexandra Stadium. R100 for general admission, R250 for VIP. Tell me more. Organised annually as a fundraiser by the Ghandi Walk Committee, this family-friendly event comprises a 6km and 12km fun walk, starting and ending at the Gandhi Hall in Lenasia. A variety show rounds off the day’s entertainment, including a dance-off, fashion show, local singers and other acts. There’s also a dedicated Kid Zone for little ones. Tell me more. The Joburg leg of Sam Smith’s world tour The Thrill Of It All comprises two shows at The Ticketpro Dome. With limited tickets left, fans are advised to book through Computicket soonest to avoid disappointment. From R575 per person. Tell me more. Celebrate Easter with your kids at this mega egg hunt at the Weekend Market in Joburg, and they’ll love you for life! The search for chocolate might be the highlight, but it’s not the only order of the day – carousel rides, super slides, gladiator pits, jumping castles, swimming pools and kids’ shows are also on offer, guaranteeing a memorable day out and a great night’s sleep thereafter. Tell me more. The hit musical Chicago returns to South Africa with a multi-talented, all South-African touring cast, band and crew. Based on true events that unfolded in the 1920s, the musical follows the story of two murder-accused women who put up a fight to keep from death row with the help of a smooth-talking lawyer. Set against the backdrop of 1920s jazz, you’ll be tapping your feet all night to the likes of 'All that Jazz', 'Cell Block Tango' and 'Mister Cellophane'. Show runs from 20 April to 26 May at Montecasino. Tickets from R200 – R500 per person. Tell me more. Did you know that Edgars Club members get 10% off shows at Pieter Toerien’s Theatre at Montecasino? So you’ll pay from as little R180 per person for tickets to see Chicago. Enjoy your favourite shows and productions for less with Edgars Club. Ts & Cs apply. Chocolates, sweets, and magic collide for a child-centric high tea of Willy Wonka proportions at The Oyster Box in Umhlanga. And if you happen to unwrap the Wonka Bar holding the Golden Ticket, you’ll walk away with the grand prize – a chocolate and Oyster Box hamper that would make Charlie Bucket’s eyes pop out of his head! Nom nom. R395 per adult, R250 per child. Tell me more. What do comedy and Indian cuisine have in common? They’re both awesome, that’s what. Make your way to the The Pearl Room at The Oyster Box for the delightful pairing of curry and comedy and get your sambal on. For fun’s sake! R590 per person. Tell me more. SA’s oldest music festival is back with a bang. Experience new acts and an incredible vibe in the scenic southern Drakensberg of KwaZulu-Natal as you escape the demands of city life in refreshing camping style. With various new developments in the pipeline, festival-goers can expect their best Splashy yet! R890 for general access (adults), group specials available. Tell me more. South African singer-songwriter, performing artist and Idols alum, Amanda Black, is bringing her powerful soprano vocals to the Sun Boardwalk Convention Centre in mid-April. Enjoy an evening of song and dance with her trademark facial art and lyrical storytelling as she shares various hits from the award-winning album Amazulu. Ticket prices: R200 – R400. Tell me more. World-renowned electric guitarist Dan Patlansky is performing alongside a keyboard player for the first time, bringing a new flavour to his show at The Music Kitchen this month. Patlansky was voted the ninth best blues guitarist in the world by Total Guitar & Musicradar in December 2018, and his latest studio offering ‘Perfection Kills’ was voted the number-two Best Blues Rock Album in 2018 by Blues Rock Review USA. For all fans of electric guitar and the blues, this one’s not to be missed! R170 per person. Tell me more. Learn how to use essential oils to alleviate common ailments, experiment with various formulas, and purchase oils with like-minded people over a glass of bubbly at this Essential Oil 101 workshop, the fourth in a series of beauty workshops taking place monthly at the Lodge on Main. Ticket price – R200. Tell me more. The second organic food and wine show at Urth Garden Centre kicks off on the Friday night with entertainment by Dewald Wasserfall and other local artists. Saturday’s line-up includes a demonstration by chef Jaco-Louw on how to prepare and pair organic dishes with various wines, and a workshop by Thabo Olivier on how to grow your own organic food. R200 for Friday, R180 for Saturday, R300 for both days. Group packages available. Tell me more. Head to Clarens, the jewel of the Free State, for two days of mountain biking at the foot of the scenic Maluti Mountains. Various race options are available, allowing you to tailor the experience to your skills level and personal goals. Ride on both days or just on Saturday, saving Sunday for some well-deserved R&R. Individual entries from R720 for Little Mountain and R1050 for Big Mountain. Team entries available. Tell me more. Celebrate Easter with a family camping event at Bethlehem Christian Centre. Guest speaker Dylan Long is scheduled to lead the proceedings, with a programme for kids organised to keep the little ones occupied during the sessions. Tickets for adults from R390, various prices for children according to age. Tell me more.